Speaking out on the dilemma facing athletes with mixed nationalities, one of the Premier League's promising young talents went public on Wednesday (Thursday NZT) with his decision on which global team he wants to play for. I have equal respect for both England and Ireland and therefore the national team I choose to represent is not a clear-cut, simple selection. 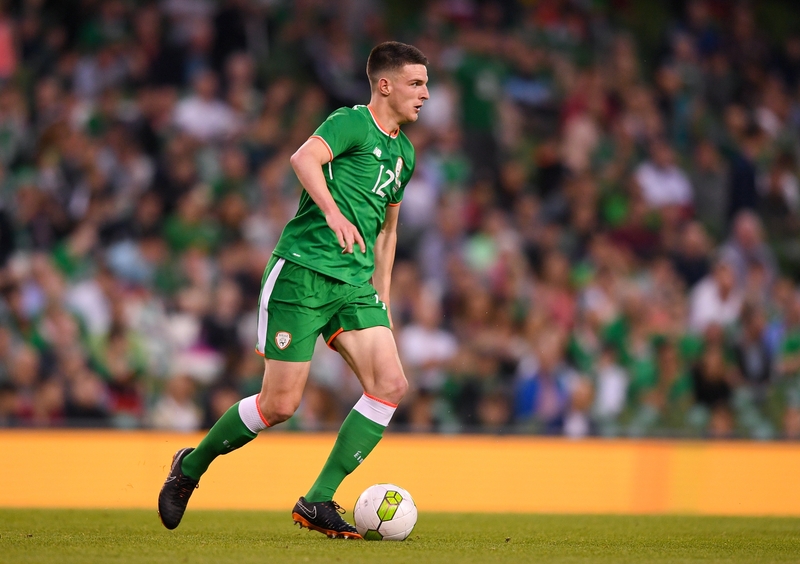 West Ham midfielder Declan Rice has announced he will continue his global career with England, after having previously played with Ireland. In a long statement on Twitter, he said: "I consider myself to be of mixed nationality". Rice was born in London but is eligible for Ireland as his grandparents are from Cork and he played all his junior worldwide football for them. Rice has made 23 Premier League appearances for West Ham this season, scoring one goal. Ireland coach Mick McCarthy and England counterpart Gareth Southgate were also consulted before being informed on Wednesday (Thursday NZT) that a request to Federation Internationale de Football Association to switch his worldwide registration.